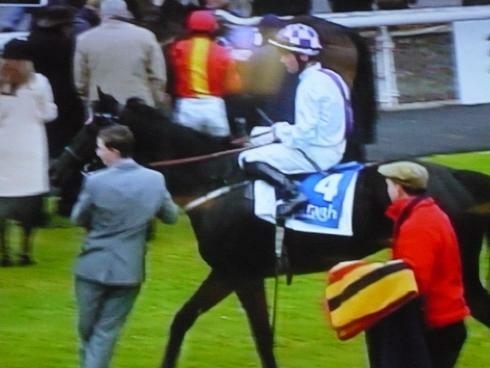 My grand plan was three meetings in four days: Cork, Gowran Park and the Curragh. The lead-up to the trip was unpromising with meetings being abandoned here and in Ireland on a frequent basis followed by horrendous weather forecasts for the intended race days. I took a late afternoon flight from Birmingham to Cork for a couple of nights stay at the Gresham Metropole, well situated in the centre of Cork. I’d not been to Cork for something like 20 years. Economically, there have been great changes since then: Cork seems to have been hit harder than Dublin with around 20% of retail space lying empty (compared to approximately 10% in Dublin). The first thing you need to know about Cork racecourse is that it’s not actually in Cork. It’s situated some 35 kilometres north in Mallow. In fact the racecourse was called Mallow when I last visited which was before its closure for substantial refurbishment in the mid-nineties. Fortunately there is an hourly train service from Cork to Mallow and if you pick the right train, there will be a courtesy bus waiting to transport you to the track. The admission price was a reasonable ten euro. 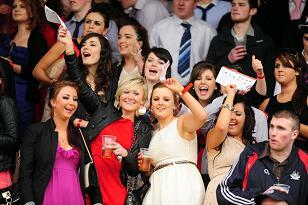 Unbeknown to me I had arrived at Cork racecourse on Student Race Day, so the place was packed with youngsters. There were few punters over 22 in the whole of the track. What a fantastically successful innovation to encourage young people to go racing. Most of the lads were dressed in sharp suits whereas the girls were dressed as though it was ladies’ day at Royal Ascot rather than a very wet and windy day in SW Ireland. As it turned out I managed to arrive five minutes after the first which suited me as I would not have backed the winning favourite. Nearly everyone at the track was keeping undercover (except the bookmakers of course) because of the high winds and the torrential rain. The second race proved successful as I took on the odds-on favourite with Willie Mullins’ Tarla which made all at 13/8 (tote paid me 2.90, just dipping below my mandatory 2/1 threshold at the off). I was gutted at the next result as the 16/1 winner paid 38.00 on the tote and I was on the second at 12/1 SP (which would have returned around 20.00 for a win on the tote). Another blank in the fourth and a thorough study of the fifth race was required. I was sat quietly drinking my cup of tea, studying the odds for the next, when I was approached by a couple of students who had obviously noticed my studious approach to the proceedings(!). It was if I had “Sage” written across my forehead – or more likely “Anomaly” as I was around 40 years older than the oldest student present. They pressed me for my selection in the fifth and under duress I came up with Clar Na Moinn which was seeing some support in the ring and yet remained decent odds on the tote. My choice, which was eventually backed from 9/2 to 3/1, won easily by four-lengths and paid £4.40 on the tote (to marginally justify the recommended bet on the machine). It would certainly have paid a fraction more if I’d kept quiet. After some high-fives I quickly made myself scarce so as to avoid further tipping pressure! The last two race winners proved elusive as I backed 12/1 seconds in each race. A small profit on the day. I was back in Cork for around 8pm in good time for a meal at Star Anise a “fine dining” restaurant not far from my hotel. The restaurant was empty apart from a super yankee of middle-class mothers talking up their protégés. Is it possible to sit anywhere public nowadays and not overhear the word Facebook? A culinary delight though as the catch of the day was the king of fish: Turbot! This followed home-made prawn ravioli and it was all washed down with a carafe of Sauvignon Blanc. A splendid meal but it certainly wasn’t cheap. My betting profits for the day didn't even cover the cost of the wine! On Friday there was time for a top class brunch at the English Market (Farmgate Cafe on the first floor) consisting of celeriac soup and organic smoked salmon. Then it was the train up to Dublin. Gowran Park’s Saturday fixture had already surrendered to the relentless rain. 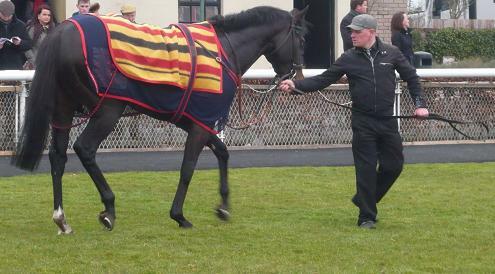 Consequently I had a free day in Dublin ahead of the opening of the flat season on Sunday at the Curragh. My hotel - the Maldron - was a fair walk from the centre and both my umbrella and my boots fell apart walking in the rain. The hotel had a good pool/leisure centre so I spent some of Saturday there but also some time at the National Gallery where there was an interesting exhibition of Jack Yeats' sketchbooks. Sunday I took the Heuston train to Kildare. On the free shuttle bus to the track I learned from a fellow racegoer that showing my rail ticket at the turnstile would lead to a concessionary entry price. And so it proved. My admission cost was reduced from 15 to just eight euro. Incredible value for Lincoln day at headquarters and certainly a tip worth remembering. The opening race winner in the two-year-old maiden had proved significant last year: Classic hope Dawn Approach for Jim Bolger’s yard. Jim won it again this time with the 5/4 favourite Saburo. I foolishly opposed this with the AOB representative Stubbs. I made up for it in the second – also a maiden – when spotting the support for the Bolger newcomer Caesaria backed in the ring from 13/2 to 5/1 yet remaining value on the tote with a nice 7.80 dividend. No good in the next but then in the Group Three there was some market opposition to the Weld hotpot Yellow Rosebud, drifting from 4/7 to 8/11. I sided with Bolger again and although his runner went below the SP on the tote right at the off, all was not lost because of the tote guarantee (account bets of 20+ euro paid at SP if tote win dividend is less). So the 5.00 dividend became 9/2 on my account. Bolger’s third winner of the afternoon and my second. Another losing race before the feature event – The Irish Lincoln at 16:30. I’d spent sometime analysing the results of this race from recent years and decided that the horses drawn low might prevail given the very soft ground. I backed Ansaab (drawn one) which was second last year and the Bolger runner Miracle Cure (four) which was a huge price on the tote as well as a couple of others at big prices. My study was to prove fruitless as Sweet Lightning won from the 15 draw – and even more annoying it was the (Racing Post) Pricewise selection. I don’t like to follow the crowd, so you just have to take it on the chin when the lemmings have a winner. The horse drawn three was second @ 33/1 and paid 9.70 for a place on the tote but I wasn’t on that either! In the last the market again indicated the Bolger stable and Alpinist duly won at a well backed 13/8 but not with my support at that price. A good couple of days’ racing despite the rain and enough profit to finance just a few pints of Guinness in Temple Bar before heading home.